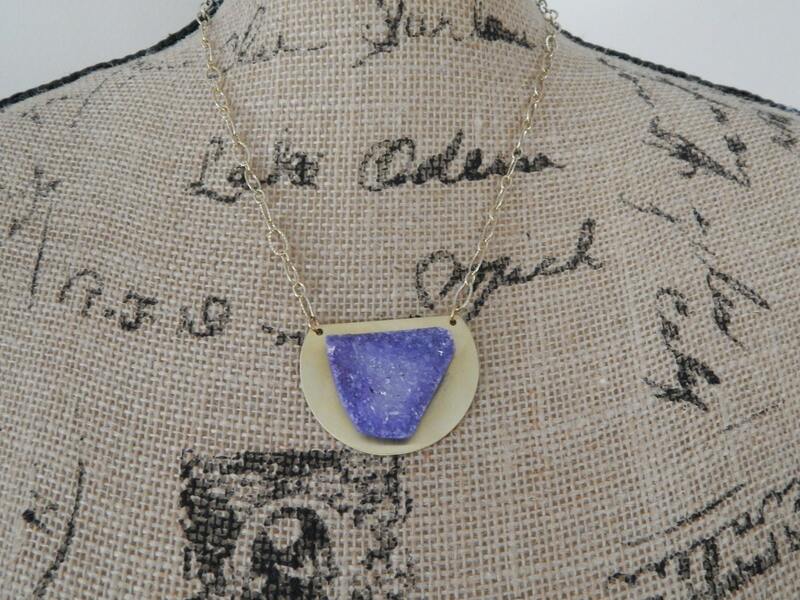 Purple druzy with brass pendant and chain. 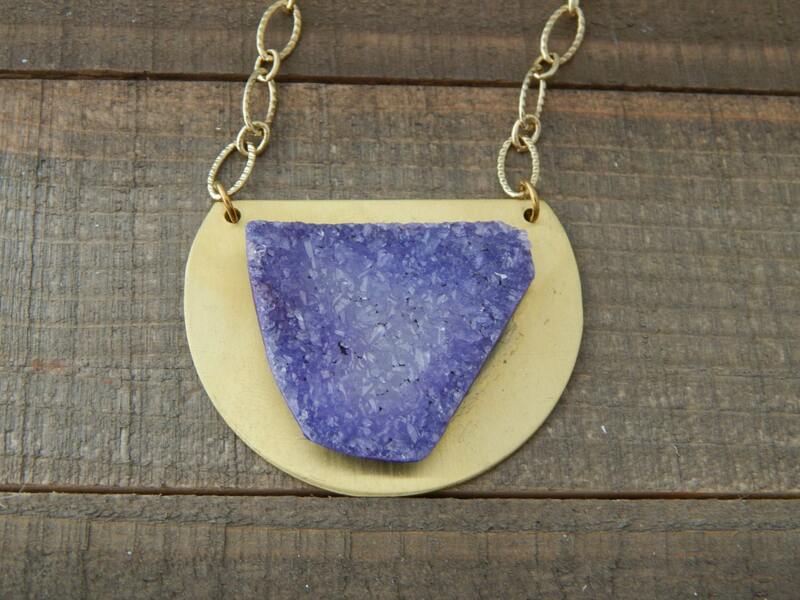 This necklace is definitely a statement piece that will add a rustic look to any outfit. 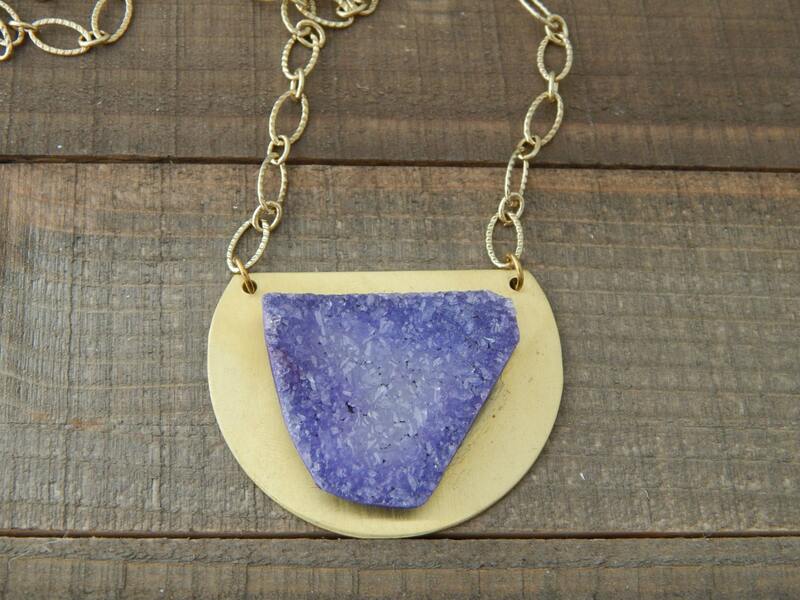 Wear alone or layer with others from my shop for a rustic organic look. 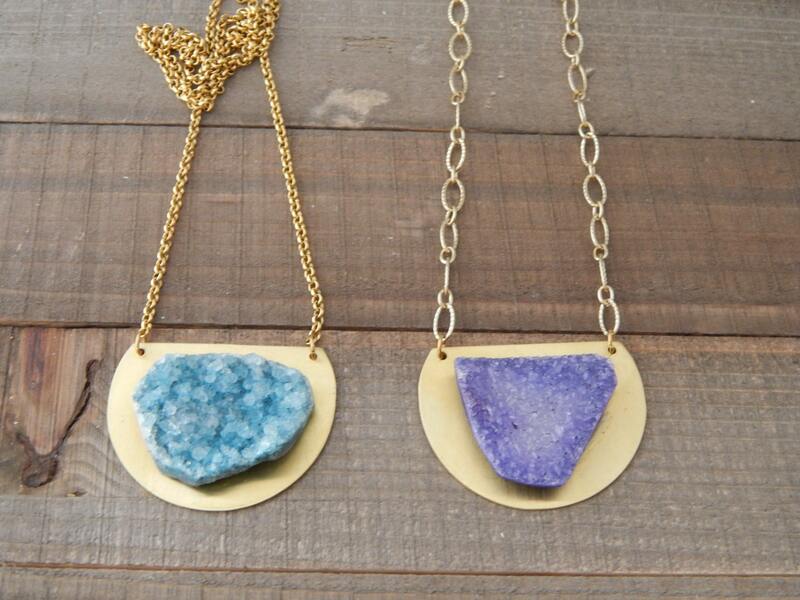 This necklace looks best when worn short. Shown at 18 inches in pic 4.